Today a group of science and history education organizations gathered at the Seattle Aquarium to urge the King County Council's support for Access for All, a ballot initiative proposed by King County Executive Dow Constantine that would provide increased funding for arts, science and heritage education for King County students. The proposal, now before the King County Council, includes significant funding for student transportation and in-class education opportunities in all 19 King County school districts, many of which have seen cuts to cultural learning opportunities. 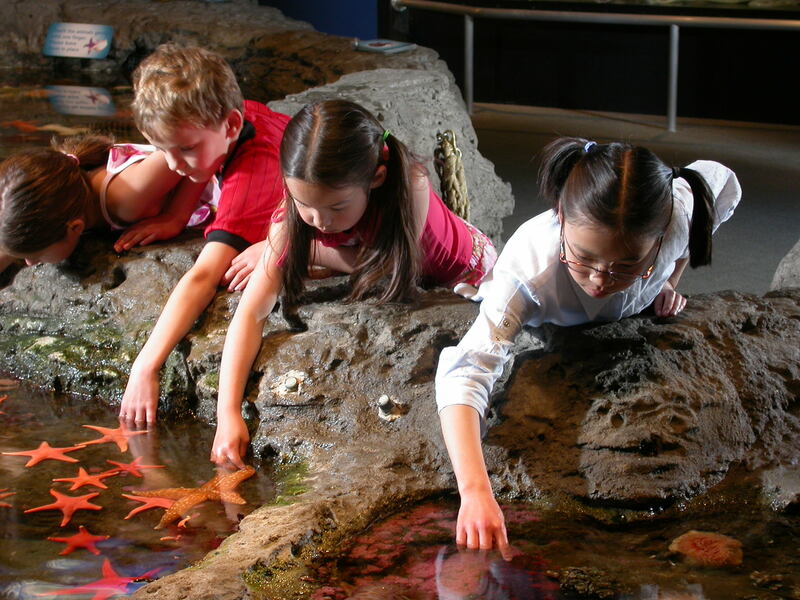 With new resources, institutions throughout the county – like the Seattle Aquarium, the Holocaust Center for Humanity or SHADOW Lake Nature Preserve – would be able to partner with local school districts to ensure all students are able to experience hands-on science education and have access to the region's many museums, historical and cultural institutions. "Funding Access for All raises our entire community," said Bob Davidson, president and CEO of the Seattle Aquarium, who hosted Tuesday's event. "It's urgent that we not leave anyone behind." Tuesday's event proceeds the proposal's first public hearing in front of the King County Council on Wednesday. If approved by the council, voters will have a chance to approve Access for All on the August ballot. "The Holocaust isn't a required subject unit in Washington schools," said Ilana Cone Kennedy, director of education for the Holocaust Center for Humanity, which partners with local school districts to provide on-site and in-class Holocaust education, including presentations from survivors. "Learning about this important event, and the lessons it can teach us today, is up to nonprofit support. We provide transportation funding and teacher training where we can, but there are still too many kids who never learn about the Holocaust in school. With more funding from Access for All, we could provide more education on this important subject for more public school students." Access for All would use a sales tax raise of 0.1 percent — just one penny for every $10 spent — to provide funding for the Holocaust Center for Humanity and almost 400 other regional and community-based institutions throughout King County, and enhance both school visits to the institutions and in-class programs from arts, science and heritage organizations themselves. "Having worked in South King County for over 20 years, I am concerned about inequities in access to arts and cultural programs," said Alan Spicciati, superintendent for the Auburn School District. "Access for All is a unique opportunity to target resources directly to make a difference in arts and cultural education. In the Auburn School District, we would be able to use Access for All funds to take students to arts, science and heritage institution, bring programs into our schools, and train teachers to integrate arts and culture into classroom instruction." "We believe that every child deserves the opportunity to explore the natural world and learn about conservation," said Emily Carlson, education and restoration manager for the SHADOW Lake Nature Preserve, a nonprofit that stewards over 100 acres of land in Southeast King County. "Though we already greatly subsidize the cost of environmental science opportunities for public school groups, funding is still a major barrier for many students. Access for All will mean that more students will have the opportunity to explore their surroundings, feed their curiosity, and learn about the rich history of the Puget Sound Region."